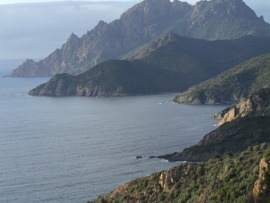 Discovering Cap Corse we ride the 3 faces of the rocky finger: the rolling East coast, the inland mountain pass and finally the stunning breathtaking drops of the western side. This wild section of the island offers spectacular coastal views, thick and deep green mediterranean forest and the occasional Genovese towers. Probably the highlight of the day is the view of Nonza village and its long black sanded beach featuring an incredible blue ocean. We leave the cool Saint Florent starting a long yet very gentle climb across the wild Desert of Agriates, offering a beautiful and peaceful vast scenery over its rough hills covered with perfumed mediterranean bush. After hitting the coast for few km, we’ll climb inland to the scenic Belgodere village to enjoy a natural amphitheater facing the vastness of the sea. From the top of this hill we will have a complete view of the bay and Calvi, dominated by the ancient walls and the citadel. The last part of the ride is pure fun, all down until the town. A day in the middle of the wild through porphyry rocks, thick Mediterranean bush and stunning sceneries on the sea. 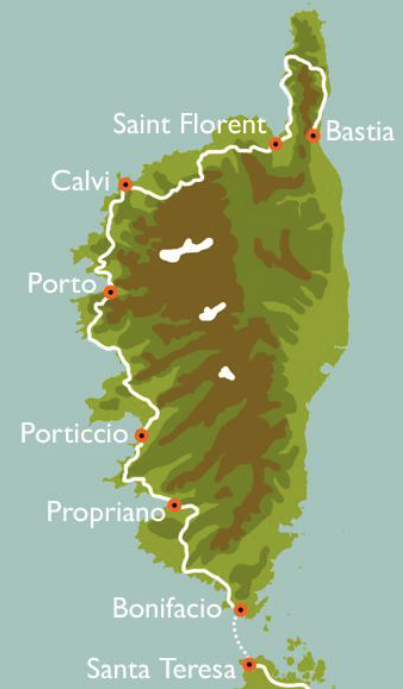 The delta of Fango River, the Bocca a Croce Pass on the rugged shores of Scandola headland, and the lovely hamlet of Porto carved into red rocks makes this ride unforgettable. 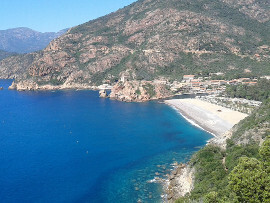 After a rolling first half to the ride along an untouched coastline taking us to Galeria with its fascinating black sand beach, then we’ll climb to cross the border between the Haut Corse and the Corse du Sud. We skirt round the UNESCO listed Scandola Nature Reserve, reaching the majestic lookout point of Col di Palmarella, before experiencing some great ridge riding on our way to the quaint coastal town of Porto. Today we meet our climbs in the first part of the ride, enjoying a taste of "vielle" Corsica passing through the nice villages of Arbellara and Sartene. Despite its turbulent history Sartène is a welcoming village rich in traditions and healthy food, producing the finest wine of the Island, should we stop here... The day ends along the impressive white cliffs of the romantic Bonifacio, here we take a beautiful 1 hour ferry ride to Santa Teresa di Gallura. - For those leaving we’ll organise a shuttle to Olbia Airport. 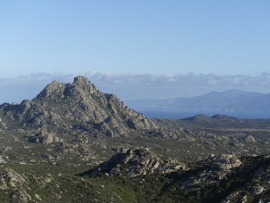 - The rest of the group will ride from Santa Teresa to Costa Smeralda.